The head of Alfa Romeo Harald Wester said last month in an interview with British journalists revealed some details about the new models of the Italian brand. 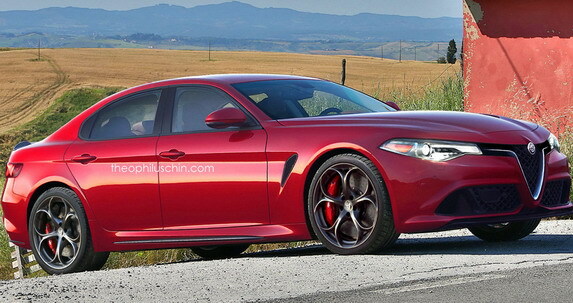 Wester reiterated that Alfa Romeo plans eight new models, with one of them already introduced (new Giulia based Giorgio platform with rear-wheel drive). To remind, Alfa Romeo Giulio promoted on June 24 in Milan, at the 105-anniversary of the famous brand, and at the same time revealed and the modified brand logo. Giulia, however, is only the beginning, because Alfa Romeo is planning a number of innovations to increase global sales of 400,000 vehicles in the year. Is that realistic remains to be seen (last year they placed some 70,000 pieces). 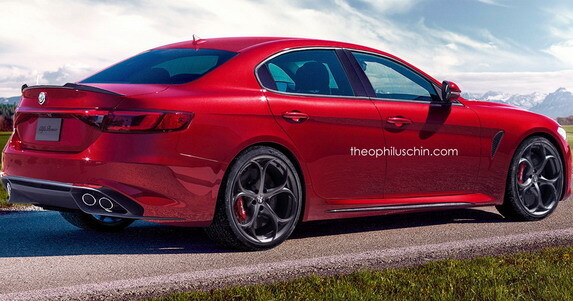 One of the novelties is and the Project 961,sedan, which will be offered in the Alfa place above the recently introduced Giulia, and that the Italians are planning an attack at the BMW 5 Series Sedan. Some media this larger Alfa’s sedan called Alfetta, while the author of the new unofficial rendering for their virtual creations selected the name Giorgio.